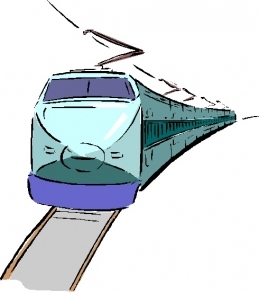 * Train Stations, Will Charging Stations Succeed at them? This is being a great year for electric vehicles and there is even greater promise ahead. Then again, the world’s oil supply is getting stronger with a pretty good chance that the prices may drop. Sustainable Transport is not in the mainstream yet, so here is some information to help get that to happen. I am excited about getting my book Energy and EV Secrets into the e-book retailing world. It is well positioned to help get the mainstream to be part of the EV Solution. It would be great if the people in our network could help get this book noticed. This is a prime the pump sort of effort to help people to find and purchase the book. Most importantly, there are things you can do to help get the book noticed on the web. It would be awesome if you could take a moment to help. I trust all is well and that this season for giving thanks and celebrating has meaning and warmth for you. Thanks for doing what you can when you can. 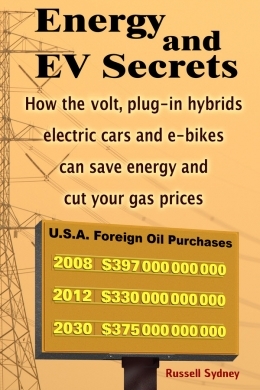 The book Energy and EV Secrets has finally made it into the major online e-book retailers. This book can help to get the mainstream onboard with the EV Solution. It is primarily targeted to people new to EVs and who are not among the early adopters. Your help is needed to bring this book to the attention of as many people as possible – to help it go viral. Train Station, Will Charging Stations Succeed at them? It is easy to think that a train station is a perfect location for an electric vehicle charging station. But is that really the case? There is a need for public chargers, but if the chargers are not located where they are needed then they are a waste of time and money. They will not be used and that would hurt the EV community. The location turns out to be important as the details about the recent installations at the train stations in Oxnard and Carpinteria point out. Who knows you drive an EV? Can the people you drive past tell you drive an EV? Most people cannot tell an EV from a gas burning car. Most people want to see other people doing something before they will try it themselves. The more people who see you have an EV the better the social proof and the more likely they will be to buy one. Where Do People Actually Want EV Charging Stations? The State of California is about to award millions of dollars to put in EV charging stations. The people handling that money at the local level may or may not know anything about how to locate the stations. They may not be installed so that they work for us, the actual EV drivers. Anyone who has tried to use public chargers knows that many of them are just not in the right locations. 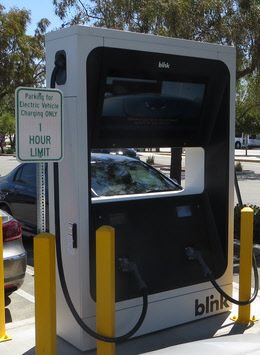 How can we make sure the money puts charging stations where we will actually use them? How do we make sure they will help people to buy and use EVs? People who do not drive EVs think we need charging stations anywhere and everywhere. People who have actually lived with an EV for more than five or six months know that we hardly ever NEED to use public charging when we can charge at home or at work. OK, it is helpful when there are good stations for those times we go out of our local use area. And sure, plug in hybrid drives use them more than all electric drivers but that is just to keep from burning gas. The recent bankruptcy for Ecotality shows us that the business model is far from being profitable and that the industry needs to figure out how to make this work. Furthermore, with the average station actually charging vehicles for less than an hour a day it strongly suggests that they are not being put where they will be used most effectively. DC Fast Charging - Who are you going to call! The NRG Lawsuit Settlement with the State of California is drawing our attention to the cost of a DC fast charge and of joining a network. This presents the concern of network subscription fees as well as the fees for the charging, particularly at the eVgo charging stations. Many DC fast chargers have been operated with free charging but that is changing rapidly.